Elaine M. Kraft was an IRS Revenue Officer for 24 years. She was a Vice President and President of the National Treasury Employees Union chapter while at the Internal Revenue Service. She was also the Union representative on the National Leave Bank and served in other Leadership and Teaching positions (classroom teacher and on the job instructor) while at the Service including negotiation of contracts and disputes. She still has many contacts and friends at the Internal Revenue Service. After leaving the IRS Elaine joined the Books Are Fun division of Readers Digest doing book fairs around the Bucks County and Philadelphia areas. After meeting with companies she would set up book and gift fairs in businesses and a portion of the proceeds of the sales would go back to the company for use as a contribution by the company or for an employee benefit such as an employee picnic. In 2000 her path found her in a small financial services company managing a tax business the partners had purchased. This is also where she passed her Series 7 Securities license and started doing financial planning and investments. In 2005 Elaine decided to go out on her own and started Tax Pro Associates. 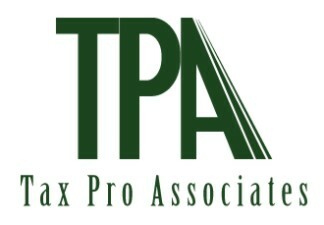 Pat Kenney permitted her to place her securities license with The Kenney Agency and after starting out on York Road she moved Tax Pro into the Kenney Agency offices on Louis Drive. She also acquired her Life, Property and other insurance licenses. Elaine’s goal in preparing your taxes is to give you a stress free quality experience. You are not just a number to her and she is genuinely interested in all her clients. She keeps up to date with tax changes by attending a two day Federal tax class every year and PA tax classes. She belongs to the National Association of Tax Preparers and participates in the forums. Your complete satisfaction is her goal. Elaine lives in Jamison, PA with her husband Michael who is a banking consultant. She has two adult children, Matt age 27 and Glenn age 24 both living at home and keeping her laughing.